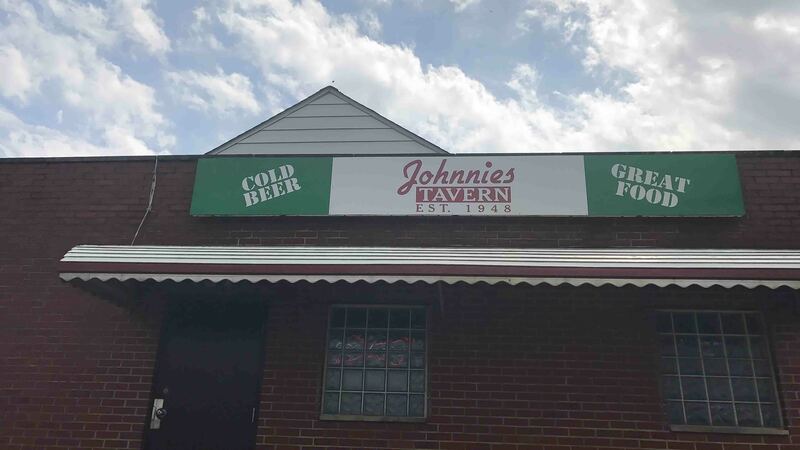 Over the river, through the woods, and across the railroad tracks, you’ll find an unassuming bar called Johnnie’s Tavern. We were quickly greeted by a friendly bartender who told us we could take a seat wherever and take a look at the menu. He said he’d be right with us, and he was. We chose a booth and ordered immediately. 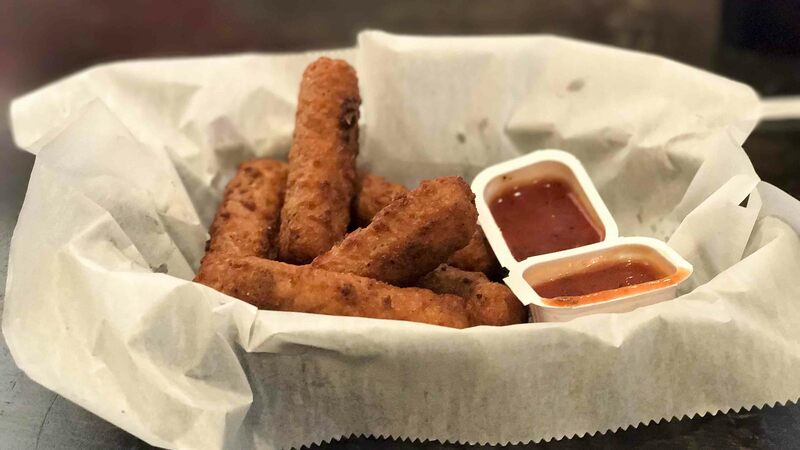 First up, Mozzarella cheese sticks. For $4.50, I have to admit, I wasn’t expecting much. But they were delicious. They were the perfect balance of crispy on the outside and gooey on the inside. 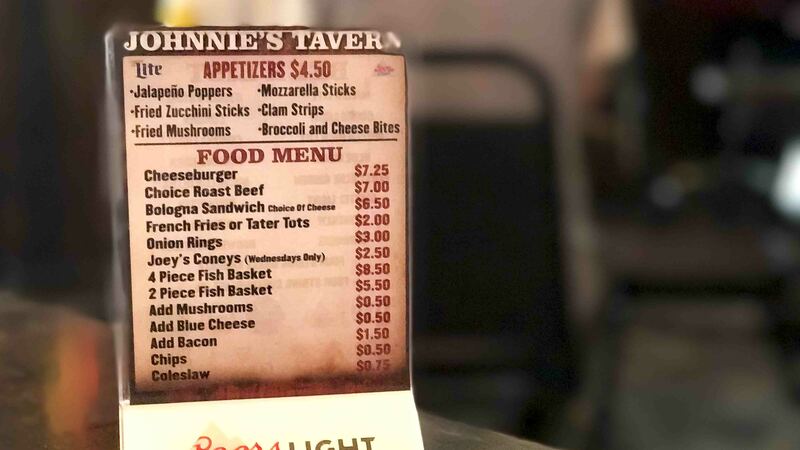 If you are looking for vegetarian options, I’m going to let you know in advance, Johnnie’s Tavern is not for you. 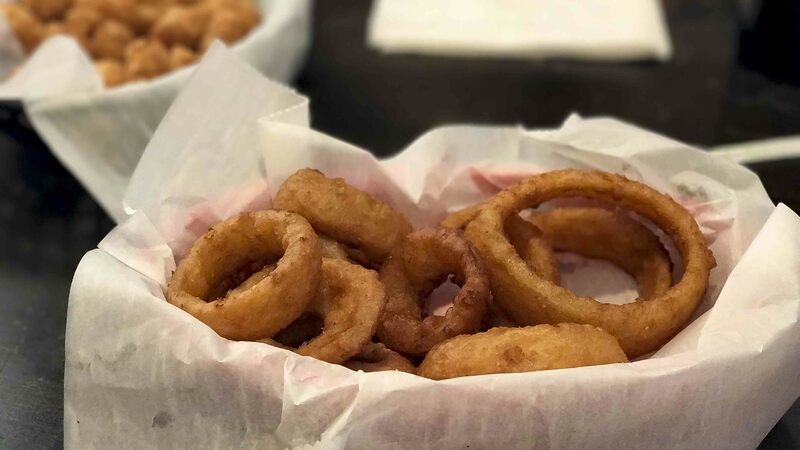 I will say, although my friend didn’t partake in a hamburger, she did love the onion rings. I tried one, you know for the sake of journalistic integrity. They were the bomb. 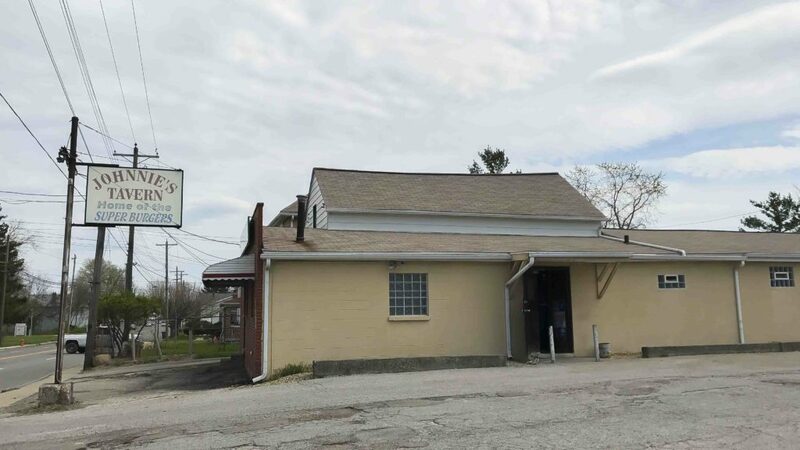 When I saw “Home of the Super Burger” on the sign out front, they’re pretty much telling you everything you need to know. 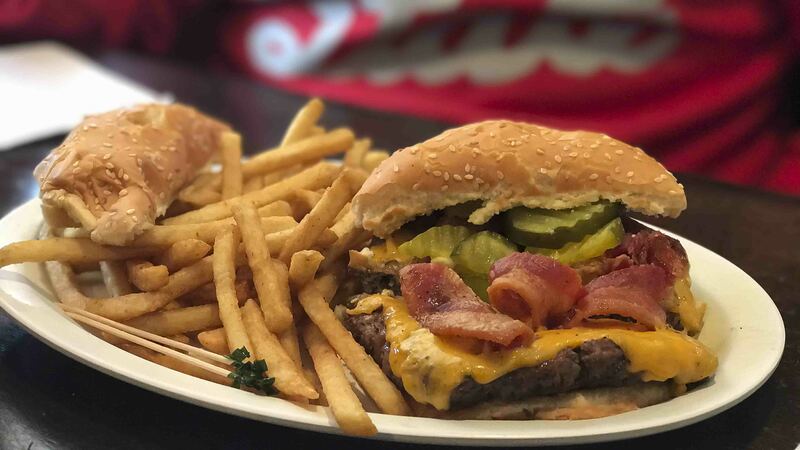 Johnnie’s lets you choose from a variety of cheese and toppings, and although the burger doesn’t come with a side, we just had to get some fries. 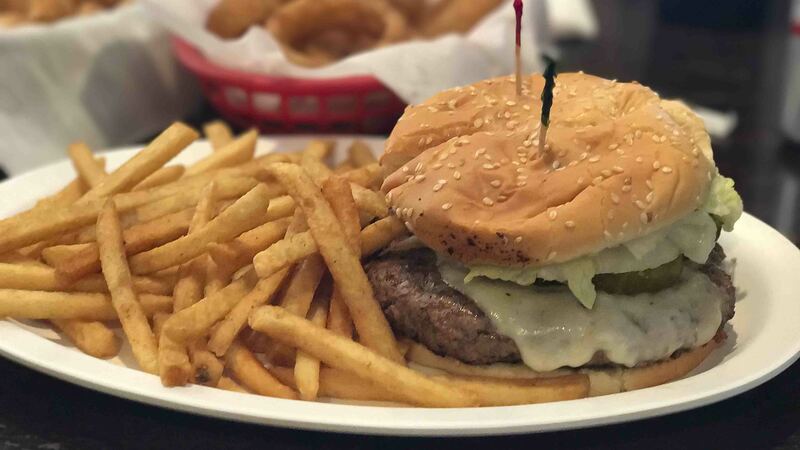 The burgers are so super that they come out already cut in half, ensuring that you can eat this delicacy and not look like a feral forest child while you do it. 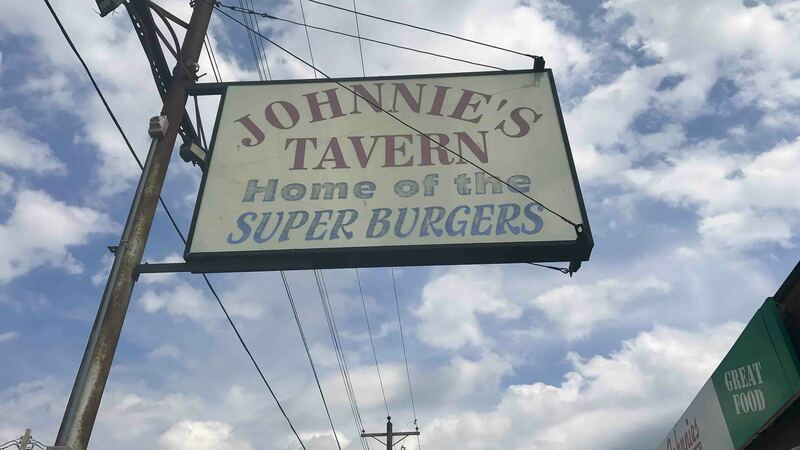 Johnnie’s has been making great food for over half a century. Trust them. 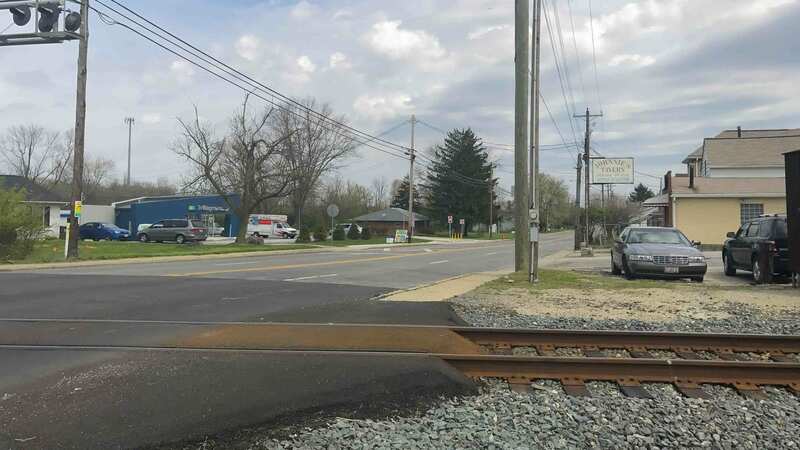 They know what they’re doing. And hey– Maybe I’ll see you there sometime? Because I’ll definitely be back!